Vojon is a premium wordpress theme with some awesome features for restaurants or any kind of food business. This theme is fully responsive perfectly suitable for any device. Vojon design is very interactive and beautiful. A drag & drop page builder is included in this theme so you can customize/modify easily your needs. This theme is very fast loading with different layouts. 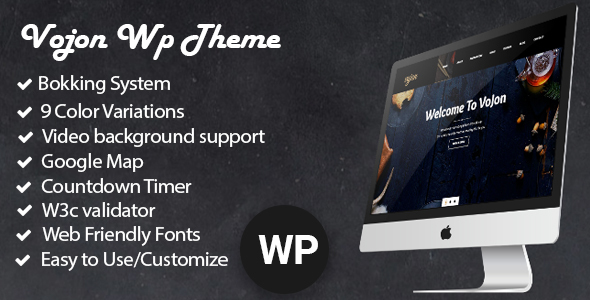 We are happy to provide you any customization service you need for this themes. Don’t hesitate to hire us for your custom project.